Seitz Blinds and Spare Parts for Seitz Blinds. To take pleasure from good weather along with a safe journey with your caravan or motorhome you'll need windows, rooflights and blinds you can be confident with. 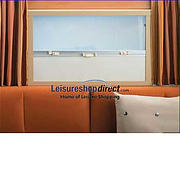 At Leisureshopdirect, we rate motorhome and caravan blinds high on our list of must-have apparatus for your camper van. Why? Because enjoying some privacy, staying warm in the cooler months, managing to stay asleep well beyond the sparrow's first cheep and keeping beasties out of our 'van all contribute to a comfortable, hassle-free camping holiday, which is what we're all trying to achieve! Seitz Blinds and products by Dometic can over this security and comfort, manufactured with care and continuously optimised to offer the highest degree of protection against unwanted entry or unwanted people peering through the replacement 'van windows.They also supply excellent thermal insulation. You'll also be glad to know that Seitz blinds, Seitz Windows and rooflights are supplied ready to install, so from the time between ordering your Seitz Blinds from Leisureshopdirect and the moment you are rolling them down into place to provide that privacy and comfort you are seeking, can be a matter of a couple of days! When you invest in quality Seitz Blinds you will be buying into intelligent design, future-orientated manufacture and high quality materials, guaranteeing long endurance. There are times, though, through wear and tear, that some of the component parts of Seitz Blinds might need repair or replacing. 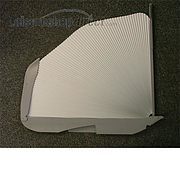 At Leisureshopdirect, we believe strongly in enabling our customers to lay their hands on even the smallest component caravab spares that they need to keep them comfortably and safely touring and so you will find a wide range of Seitz Blinds Spares on these pages too - all at highly competitive prices, of course! Top-down or Bottom-up habitation Blinds & Fly-screens: Seitz have long been among the market leaders in windows roof lights and window blinds. Now part of the mighty Dometic empire we're pleased to offer their range here. Blinds come in many different designs for easy installation. The Rastrollo 3000 Blind is designed for installation above the top edge of the window cut-out, this blind is the ideal solution for frameless windows. The Dometic Seitz Mini-double Cassette Roller Blind 1302 is a blind combined with flynet for optimum sunshade and shadow. Alternatively the Seitz Combination cassette roller blind 38 combines a fly screen and a roller blind all in one system. 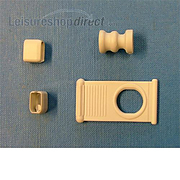 Get you spare parts for your caravans Seitz blinds. Finger pull grey for Seitz Blinds are easily replaced. 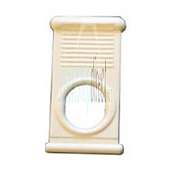 The Blind Clips which clip into the end of the blind are also available. 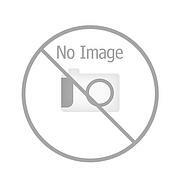 Dometic Seitz Combination cassette roller blind 38, Fly screen and roller blind all-in-one. PLEASE BE AWARE THAT IF THIS ITEM IS OUT OF STOCK IT CAN TAKE 4-6 WEEKS TO ARRIVE. Dometic Seitz Rastrollo 3000 Blind for leisures vehicles, Ideal blind for frameless windows. PLEASE NOTE THESE CAN TAKE 4-8 WEEKS TO ARRIVE WHEN OUR OF STOCK HERE. 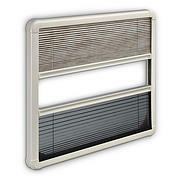 Dometic Seitz Mini-double Cassette Roller Blind 1302. Leisure vehicle blind combined with flynet for optimum sunshade and shadow.